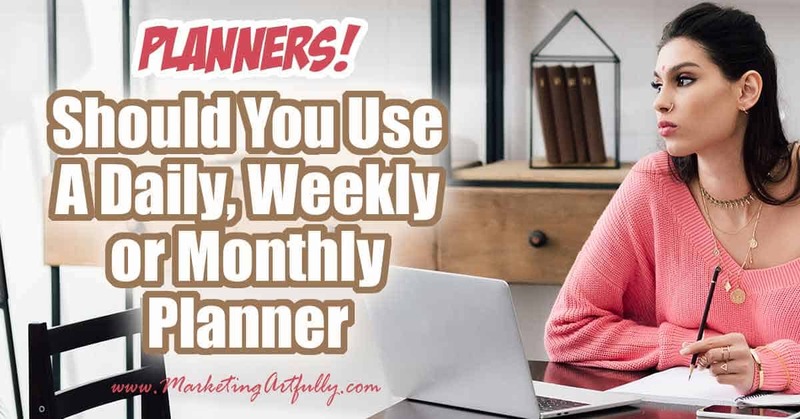 You are here: Home / Planner Pages / Should You Use A Daily, Weekly Or Monthly Planner? I am super interested in planning and time management so I talk to LOTS of people about their planners. Additionally I have owned at least a gagilion planners myself, and really try to notice how I use them. 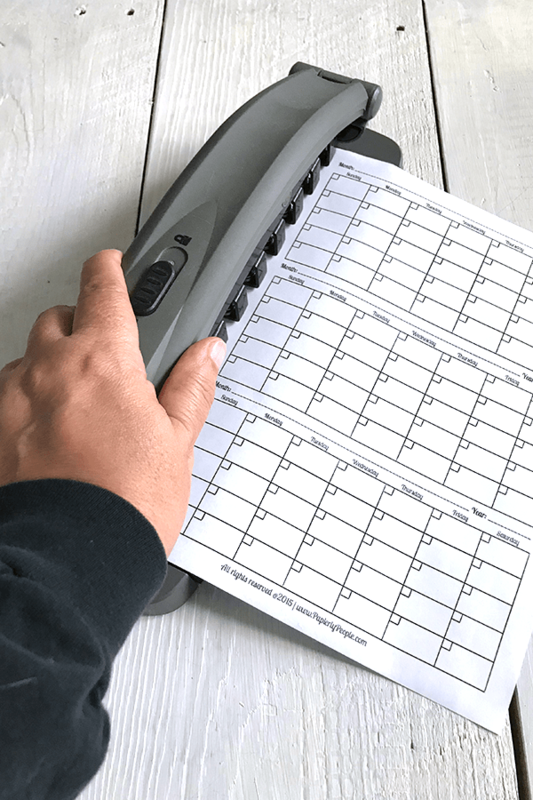 If you are thinking about getting a planner, calendar, Filofax or other time keeping system, you probably have a few questions about what you need. 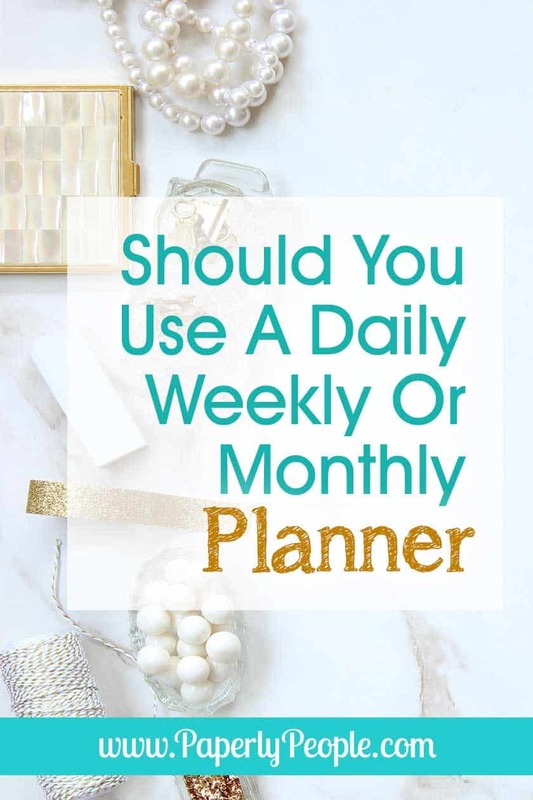 This post is to address the thin slice of question…should you use a daily, weekly or monthly planner? This changes over your lifetime and could even change throughout the year. 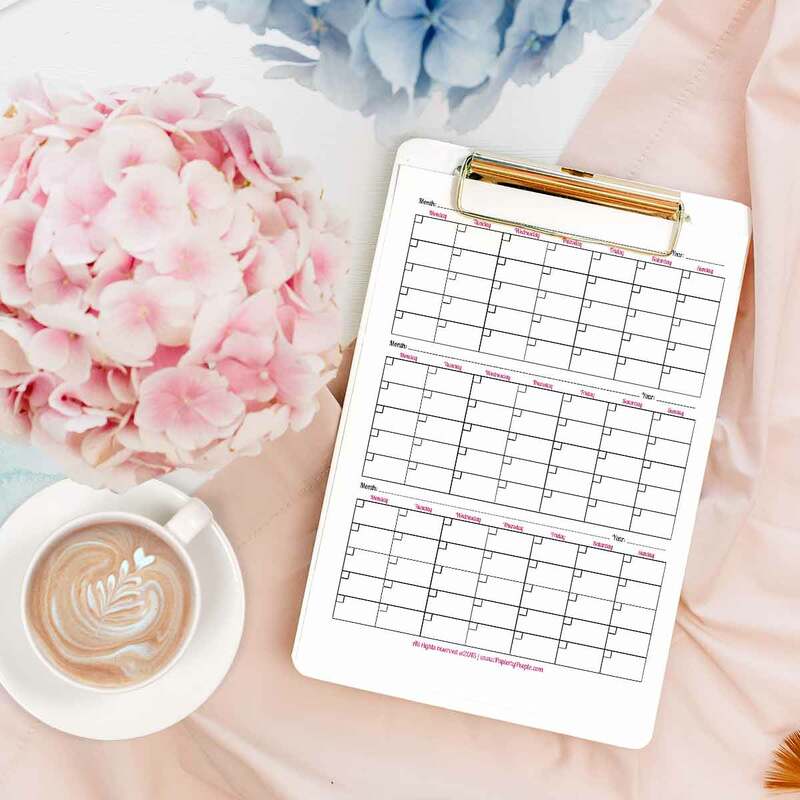 If you are a single person with strict schedule, you may be able to do nicely with monthly calendar, just to note the things that are weird or different. Here are three examples of how lives could look and the types of calendar they might use. Sally Student. Say you are a single gal who is attending college and your schedule is pretty fixed. Every week you have the same classes and labs, and during break you are pretty much carefree, blowing off steam and having fun. Using a monthly calendar to note upcoming projects due, vacation days and test dates might be the most effective system for you right now. Stanley Speaker. Stanley travels A LOT for his work. He is a professional speaker and spends lots of time on planes and attending conferences around the country. While he wishes he could be one of those people who use their phone for planning, he is just a paper planner guy at heart. Using a weekly calendar would be good for Stanley. At a glance he could see where he would be in each of the next days and his assistant could put individual appointments in his online system. Molly Mom. 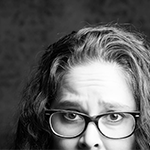 Molly is a Mom of three kids who are running in different directions, PLUS she runs her own Etsy business. For Molly, every day could bring one or two activities for the kids, cookies needed to be baked and sent into class and phone calls to suppliers and customers for her store. She has things that she wants to remember every day (like reminding her daughter to feed the hamster and checking her Facebook business page) so she has a daily planner page customized with her “daily to dos”. The next thing to think about is whether you have LOTS of upcoming events and how far out they are. Sure you can keep your annual family reunion in your head easily because it is always on the Fourth of July weekend, but what if you are a busy Mom AND have things that you want to know about plan further out than this week or this month. I use daily planner pages to manage my work and home responsibilities and then have a three month on a page calendar insert that I use to make sure I don’t mess up upcoming time. For example, I was booked for a speaking event that will be held in January back in August (5 months away). That is something that I for sure don’t want to schedule against, but I don’t have to really worry about it right now. Using the three month planner page works great for me, but you may have more upcoming events then that. If you are a week at a glance kind of person, you might need to make sure that at your planner also has month at a glance pages for you to use. I know that the Erin Condren and Happy Planners from MYOB have these if you are considering using a “pretty planner“. There is just a practical size consideration for planners. If you are using a tiny, memo sized planner that will fit in a hip pocket, you probably can’t have it be a daily version or it would be six inches thick! Here are some “normal” sizes for planners and why they work! Filofax has a great page with actual planner dimensions. Pocket Sized. These little planners are great because you can pop them into your pocket or purse. That said, their small size means that you probably will only have monthly (12 pages) and maybe weekly (52 pages) available to you. It is also important that you have small neat writing to use one of these. Mid Sized. These are slightly different dimensions than half a page of paper (although the covers can make them a little bigger). They are super nice for having and recording your year in one place. I used to use one and keep all my family stuff together in one place. They generally have a weekly spread (52 weeks) and monthly at a glances (12 pages). Full Sized Planners. Ultimately I had to go for a full sized planner myself. I have larger writing and a lot of tasks that I have to keep track of in my work and Mom life. If you are buying a full sized planner off the shelf you probably only will be able to get weekly (52 pages) and monthly (12 pages) as to have a daily planner with months would be 365 days PLUS 12 months, almost a ream of paper! Instead I print out my three months at a glance and then have a bunch of daily pages that I use to do my work! Using a Staples ARC Disc System or 3 Ring Binder is great for me because I have many things I have to do on a daily basis PLUS I have appointments and tasks I want to accomplish everyday. I can easily see on the monthly if there are “special things” and just know that I have to take my kids to the bus at 7:15 and fetch them at 2:30. One thing that I want you to think about when picking your planner is that we usually do this two different times. Either at the first of the year like everyone else, or when we feel like our lives are spinning out of control and we need to get a grip! If you are just replacing an old planner at the first of the year, super, go with what is working now. BUT if you are looking for a long term solution to a short term problem, maybe you need to take a deep breath and really think about what you need to accomplish. Say it is Molly Mom’s kids first week back at school and she gets the 500 papers saying that there are going to be 20 days off, there are assessment tests and school plays and… the million other things kids have to do. In addition to that her middle daughter just started middle school so school bus times changed…sigh. DO NOT pick your planner style when you are this stressed! Buy a cheap $10 planner to get you through this first week and then realize that things will settle down! We all have busy weeks or even a couple of weeks, but just know that things will settle into a routine and even thought you thought you would need a minute by minute planner, by the second week of school or work, you will have some routines established and can go back to organizing your time the way it works best for you! One last thing to consider with your planner selection is whether you like organizing. It is important to know the level of input you want to have and how often you want to be “messing” with your planner. Wire bound planners. If you are a totally hands off and just want to use something ready to go, I suggest that you consider one of the wire bound planners. With these a planner expert has put together a system that you can use right off the shelf and there is no thought needed. One big drawback is not being able to add anything to these. Filofax or Dayrunner style. These two companies have been around a while and I am sure you can recognize their names. 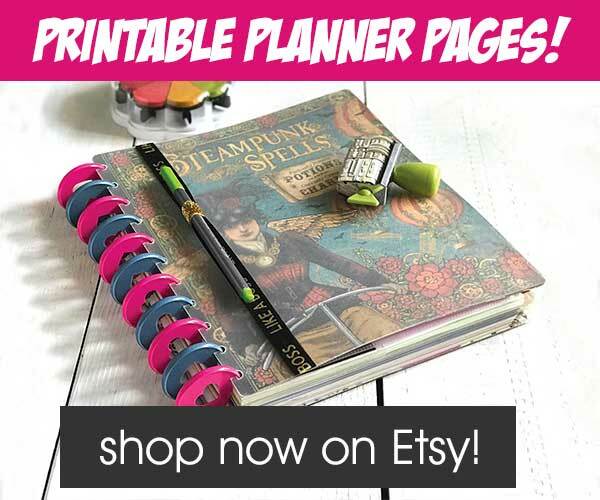 They have LOTS of different “packages” of planner pages you can buy like daily, weekly. monthly, note papers, expense sheets and mile logs. They are a little kerfuffly for adding pages since they are an odd size, but it is totally doable if you love this style of planner! DIY Planners. The last kind is my kind now! After spending years buying planner after planner, I finally figured out that I have to keep my planning fluid. I like being able to change things often and updating my pages when needed. That said, I DO like messing with my planner and time management, BUT if you are looking to be totally hands off, I would suggest doing a wire bound solution. There is no right or wrong planner that will appeal to everyone (or even you at different times of your life). Instead you need to find a planner system that you like now, use it and see if it is right for you. I like the convenience of having full sized pages and customization, other people want the portability of being able to throw something tiny into their purse. If you have to try a couple before finding your “perfect planner”, don’t beat yourself up. This is a billion dollar industry for a reason! It is hard to find just the right one that will work for your business and your life!